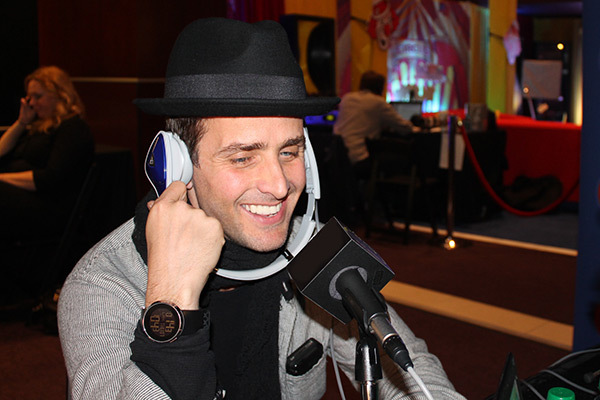 He just returned from a cruise and is preparing for a cross-country move, but thankfully neither stopped New Kids On The Block star Joey McIntyre from calling in to my radio show this week. For those who don’t know, I’m running this weekend’s TCS New York City Marathon with #TeamULTRA, and this week I’ve been gathering advice on what to expect as a first-time marathoner both privately and publicly. When I thought of music artists that ran a marathon, McIntyre was the first person who came to mind; he completed the 2013 Boston Marathon about five minutes before the terrorist attack. The singer/songwriter returned with bandmate Danny Wood to then complete the marathon again in 2014. So I was very pleased when McIntyre agreed to an interview, candidly sharing experiences, advice and a few mantras that helped him along the way. And that was the vibe I caught from McIntyre; this will be just as much mentally challenging as it will be physical. McIntyre didn’t completely rule out doing it himself next year; the NKOTB artist just launched a new podcast called “The Move” which is inspired by his family’s pending move back east to New York City. McIntyre plans on using his new podcast to tell stories from his move while also inviting others to share their experiences of relocating. Despite the move to the Big Apple, don’t expect McIntyre to abandon his routing interests. We talked just days after his Patriots traded backup quarterback Jimmy Garoppolo and like any true New Englander, the singer had a thought or two on the matter. “People are sort of dumb-founded, a little shaking-their-head,” he mused before adding, “It’s hard to argue with Bill Belichick.